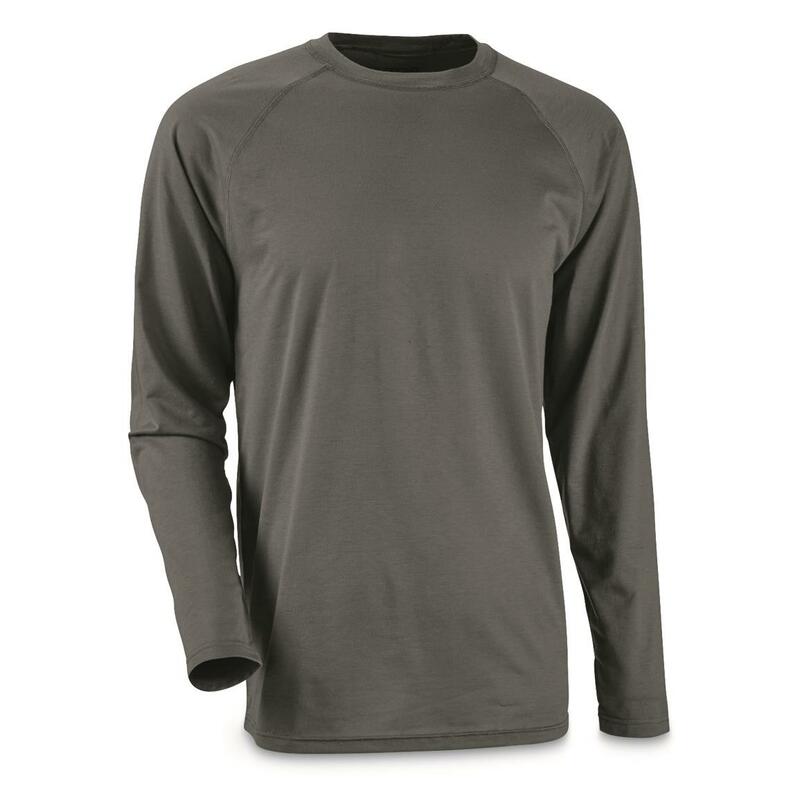 This Base Layer Top is designed to not only keep you warm, but remain comfortable during high-activity. There's a little spandex in there to give it some stretch, and raglan sleeves for full range of motion. That way the top stays put while climbing up the ladder stand or shoveling the lot. They quickly wick away sweat and dry fast, which helps regulate your body temperature. Even the thumbholes are a "little thing" that can make such a comfortable difference. Comfortable, warm…when the temps drop, wear this Base Layer Top. Call it "worry-free warmth". So get your Guide Gear® Base Layer Top today! 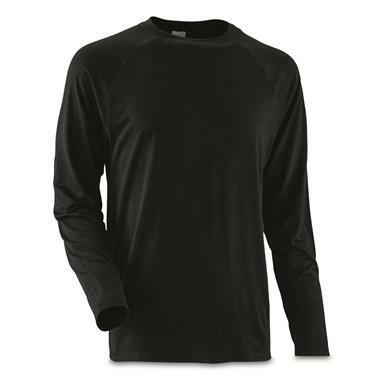 Guide Gear Mens Lightweight Base Layer Crew Top is rated 5.0 out of 5 by 4. 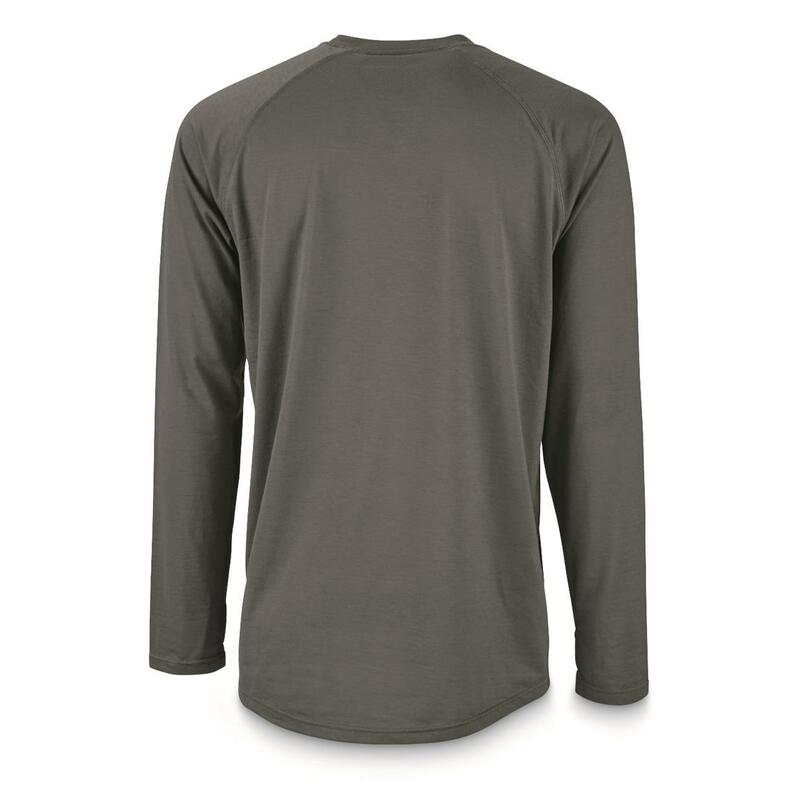 Rated 5 out of 5 by Rimfire from price, quality, function Base layer fit is excellent, and priced well too. No complaints. Rated 5 out of 5 by Rider from Excellent for a base shirt for riding Live in Florida and used this shirt as a base to go motorcycling, it worked great. December has been cold this year and this was warm the moment I put it on. Rated 5 out of 5 by CPTaMerica from Compare with ECWCS Level 1 Civilian version of military issue. Nothing else needs to be said! Rated 5 out of 5 by Chief Joe from Awesome undershirt The material is thin, soft and comfortable. Perfect to wear under your shirt when it's chilly outside. Service was quick, as usual. Thank you SG!